The internet has forever changed the way people shop, transforming the retail industry and forcing retailers to rethink how they engage with customers. The internet has forever changed the way people shop, transforming the retail industry and forcing retailers to rethink how they engage with customers. And while the Internet is a powerful marketing tool without precedent, the often bewildering range of factors influencing e-commerce behavior makes it difficult for brands to engage meaningfully with consumers. One of the biggest challenges in engaging with customers online has been the emergence of “data islands” – that is to say, data about customer behavior that is confined to only one app or platform. “Data islands” effectively prevent companies from tracing user behavior across different platforms and screens – and with only a limited picture of user behavior, brands often struggle to convert customer engagement into sales. This problem can best be resolved through greater cooperation between companies in terms of data sharing, cross-platform integration and leveraging emerging technologies such as AI and big data. Only by mapping out user behavior across a range of “data islands” can companies achieve precision marketing – leading to better customer engagement & loyalty and higher sales conversion rates. 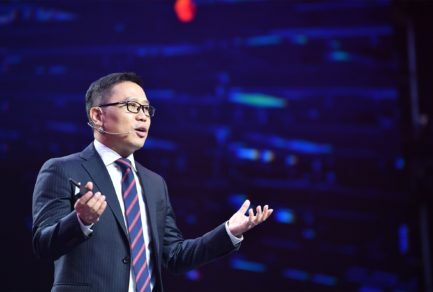 In order to better support brands’ online marketing – and to help overcome the “data island” bottleneck – JD.com has recently joined forces with Baidu and Qihoo, building upon our partnerships with Tencent and Toutiao, China’s largest news aggregator app. The combination of these partnerships gives JD the most complete data set of user habits of anyone in China’s Internet space – allowing us to precisely match products to users’ needs and preferences. For example, a user searching on Baidu for baby-related topics could be guided to advertisements from JD.com that offer related products; and users of Toutiao interested in cuisine may be served advertisements from JD.com for the items needed to make a recipe they have recently viewed. And as our data has clearly shown, customers that receive advertisements tailored to their personal interests enjoy a richer e-commerce experience, with a higher likelihood of making purchases. Working together with our partners, our powerful cross-platform big data resources, huge user bases and AI technology also allow JD to offer third party merchants powerful programmatic advertising solutions. Leveraging JD’s innovative bidding system LADDER which we leverage in our partnerships, merchants are able to maximize advertising ROI with targeted ad placements on the full range of our partners’ platforms. During our most recent June 18 shopping festival, our bidding system helped increase advertising revenue by more than 50%, with ROI up by as much as 17%. As we enhance our AI-driven advertising algorithms, we expect these figures to grow. With the rise of the mobile internet, we have increasingly seen the need for online shopping solutions that are scenario-sensitive. For example, if a user spends significant time on a cooking app, chances are they will be interested in purchasing food items or kitchen appliances. Or if you are a frequent user of a running app it is likely you will be receptive to ads for the latest sneakers. However, until now there has not been a convenient way for apps to bring their users targeted e-commerce solutions. To overcome this hurdle, we established JD Kepler in 2016 to help users fulfill their specific shopping needs directly within our partners’ apps while enjoying the full range of JD.com’s service offerings. 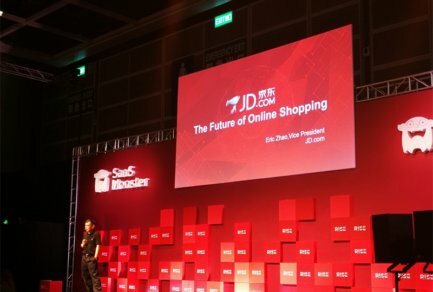 Bringing together the full suite of JD.com’s offerings including products, supply chain & logistics services, IT and big data to third parties and partners, JD Kepler has established partnerships with over 160 of China’s most innovative tech companies across key internet verticals such as shopping, search, news aggregation, telecom, security and hardware. 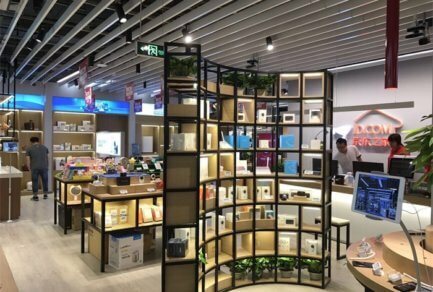 Whether providing “first-level entry points” for purchasing JD products in popular apps like Mobile Baidu, or supplying full e-commerce solutions, such as China Telecom’s customer-loyalty online purchase program, JD Kepler allows companies to leverage the full strength of the JD platform to benefit their users. The internet has brought the retail industry into the modern age. Today, it is imperative for brands to incorporate big data and artificial intelligence into their e-commerce strategies and work with partners across a range of platforms. 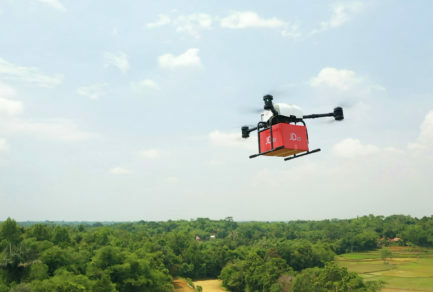 At the same time, new technologies are changing the way JD.com does business, including the adoption of delivery drones to connect with rural areas; the introduction of robotics in our warehouses; and use of advanced AI to better predict product demand. As these technologies and platforms increasingly merge together, JD will continue to push the boundaries of the online shopping experience, challenging imaginations & driving value for both consumers and brands.